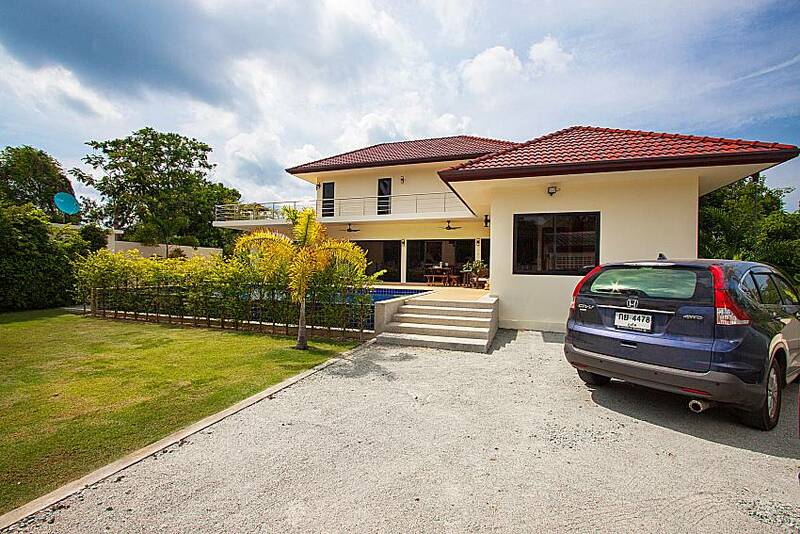 Nestled in a traffic-free area not far off from the main road, the peaceful estate with a large outdoor space and a remote controlled gate represents the perfect sanctuary. 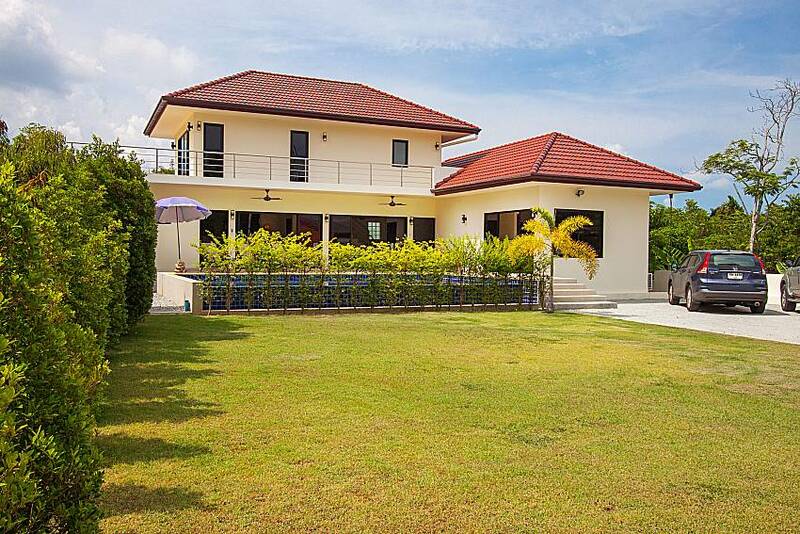 The capacious green lawn is a great venue for parties, weddings and receptions. 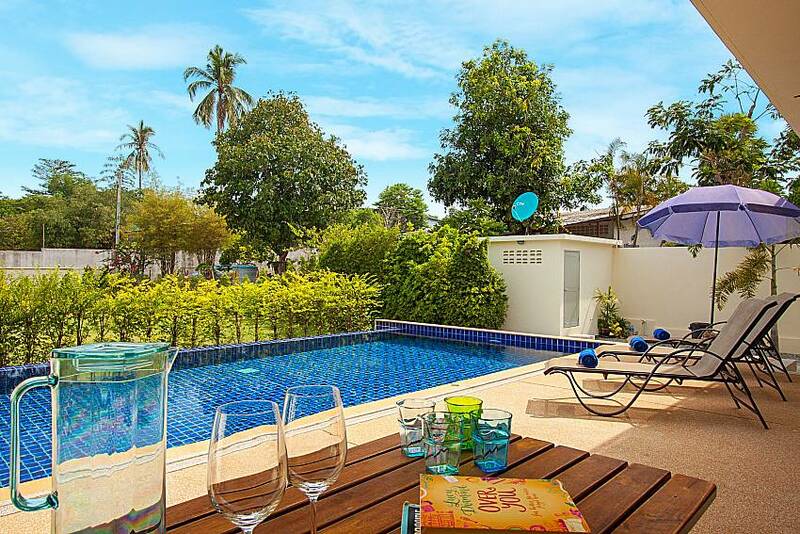 The pool deck is where you’ll want to spend most days, swimming, sun bathing, reading and barbecuing. 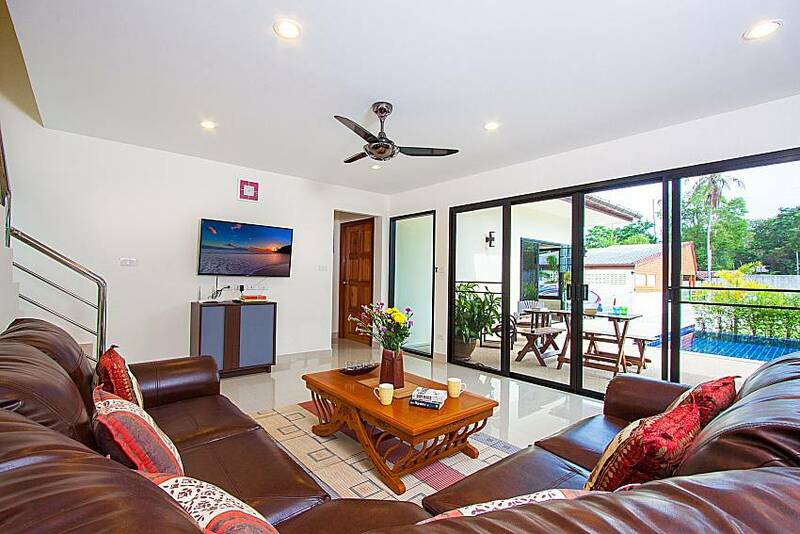 The open plan living room is accessible right from the pool, with the guest toilet conveniently placed just as you enter. 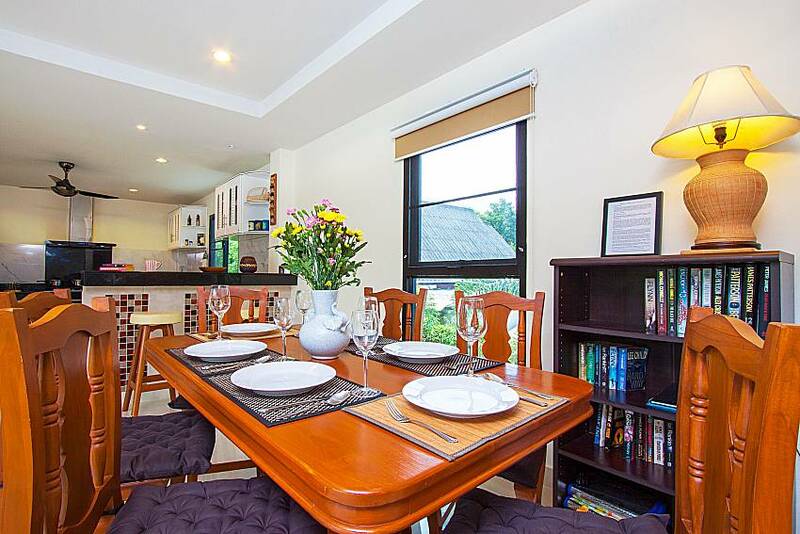 The living space extends to dining, with a large table that fits 8 persons, and kitchen, which is very elegant and with every appliance you may need. 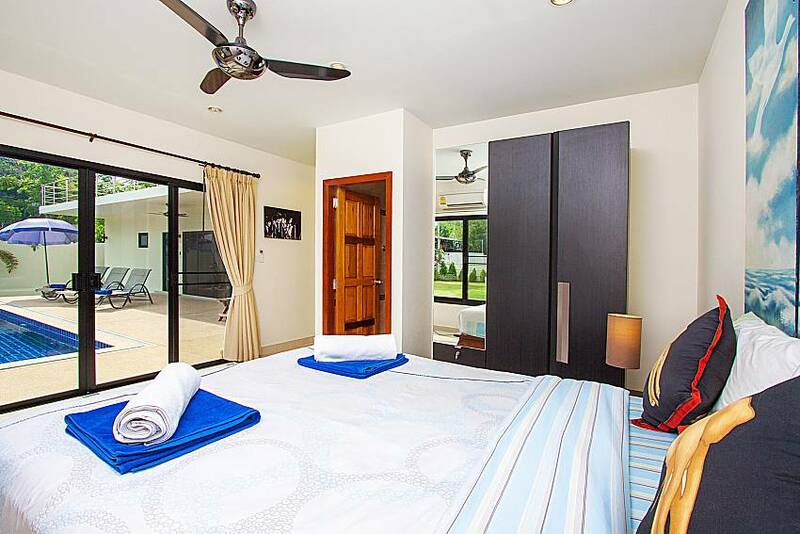 The master bedroom spreads over the 1st floor and the other two bedrooms are on the ground floor, one of them opening to the pool area. 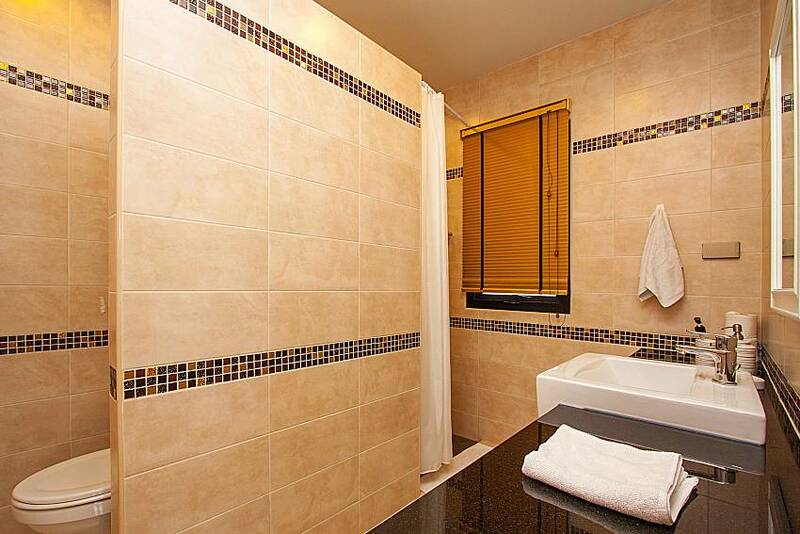 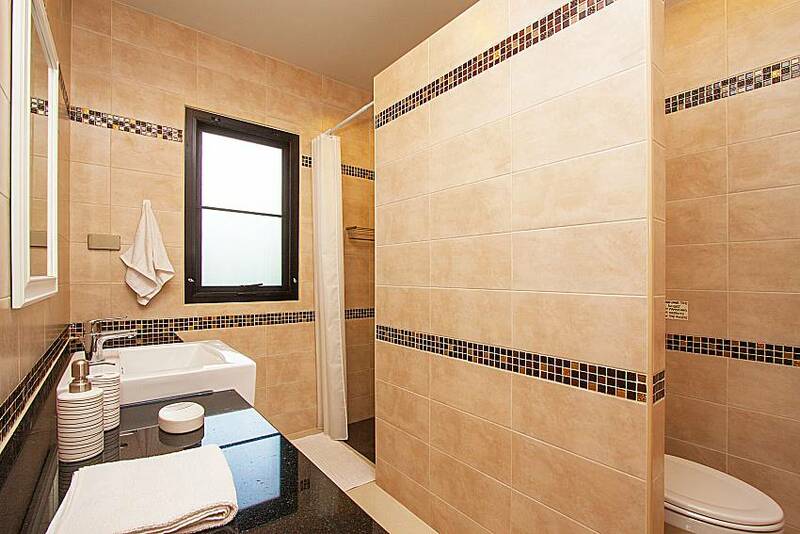 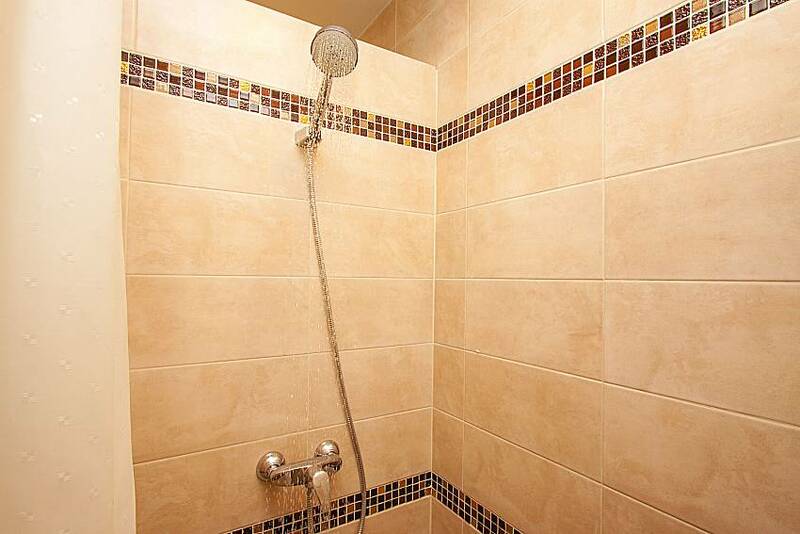 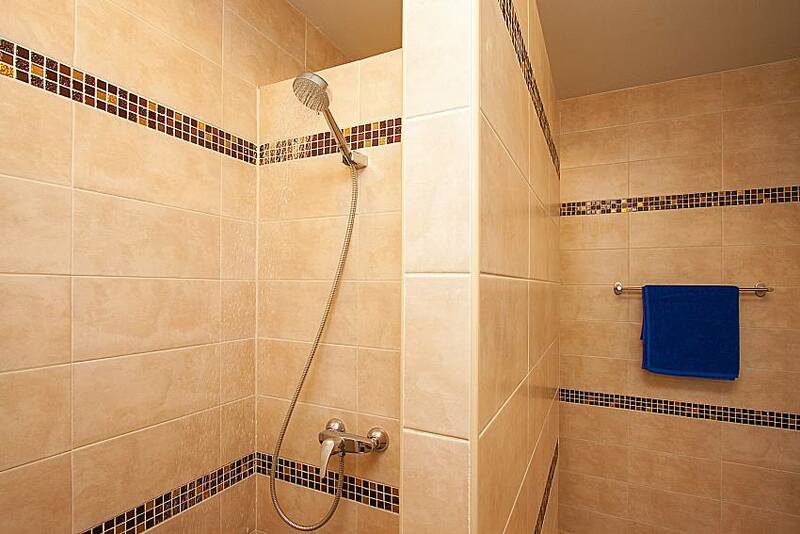 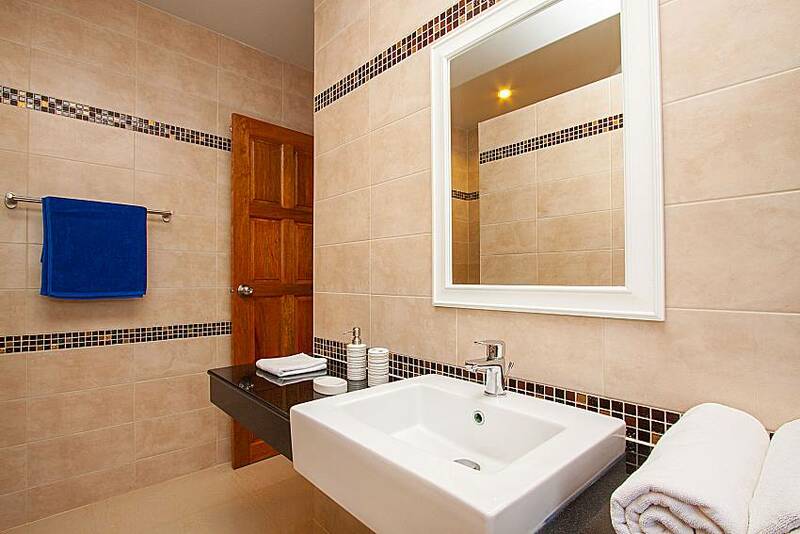 All bedrooms feature elegant en suite bathrooms as well as large wardrobes and blackout blinds. 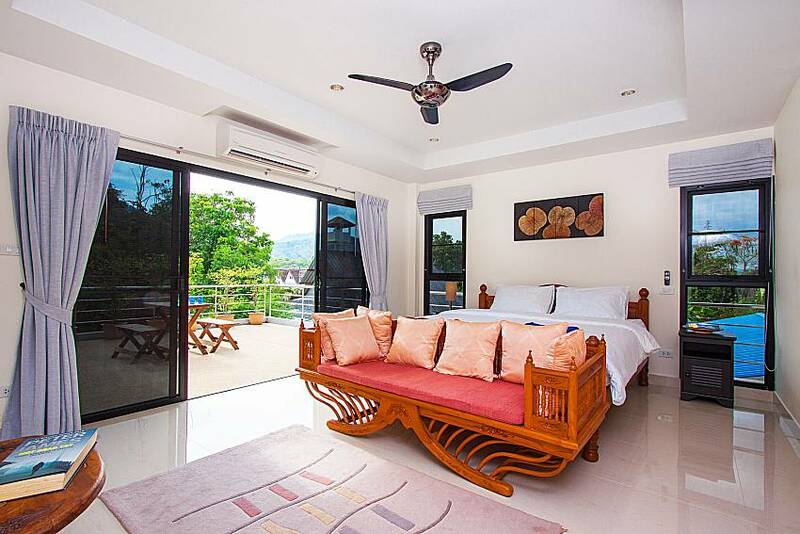 The master bedroom is surrounded by a large balcony with a lovely view, the perfect spot for having a cool beverage at sunset. 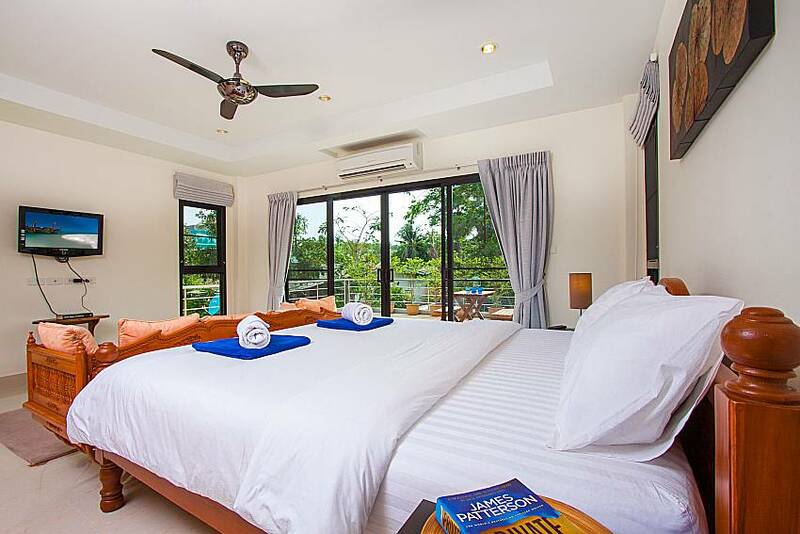 The villa accommodates up to 8 persons as 2 single beds (for an additional charge) and a baby cot can be provided upon request. 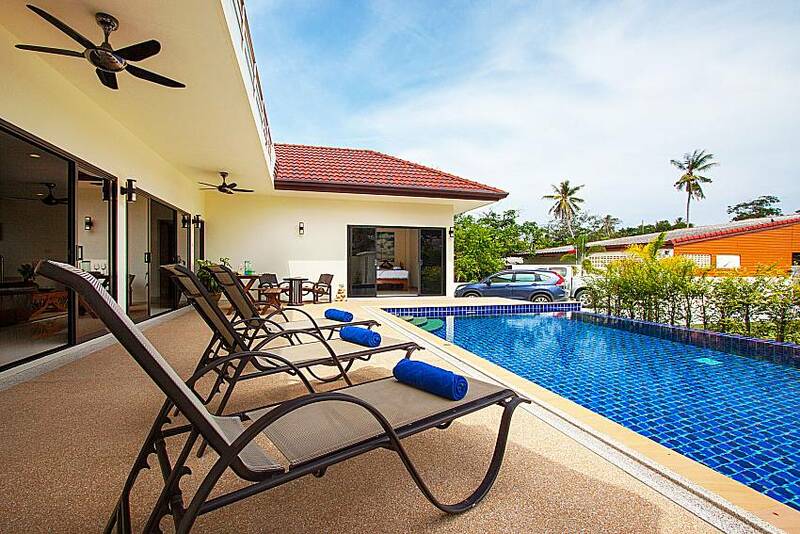 The villa owner provides guests with a phone with preprogrammed emergency numbers plus a 500 THB credit. 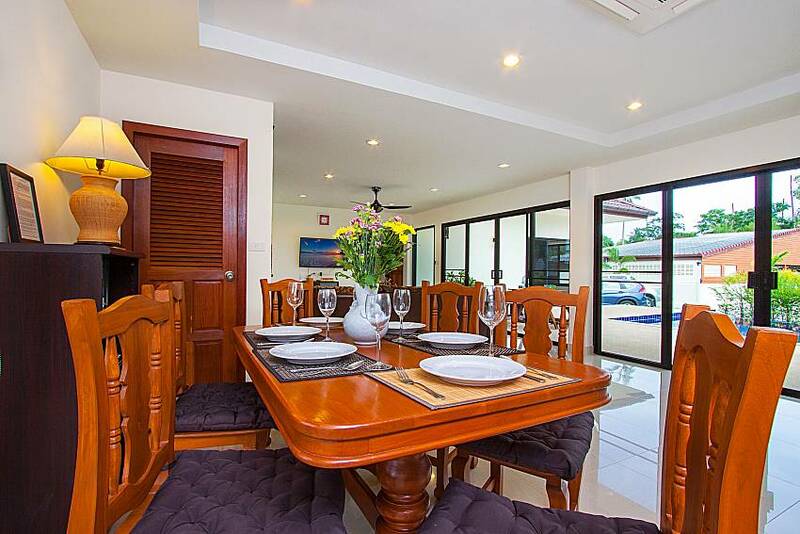 As the villa has a storage area, it is possible to check in early and store away your luggage. 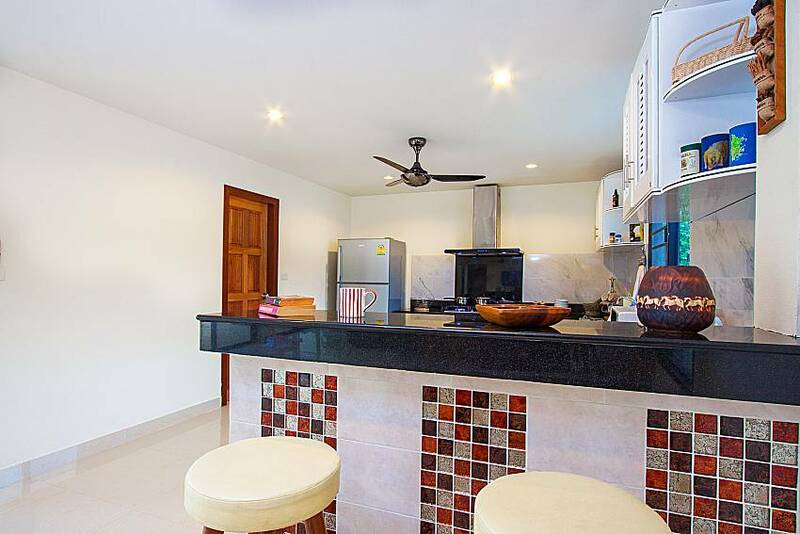 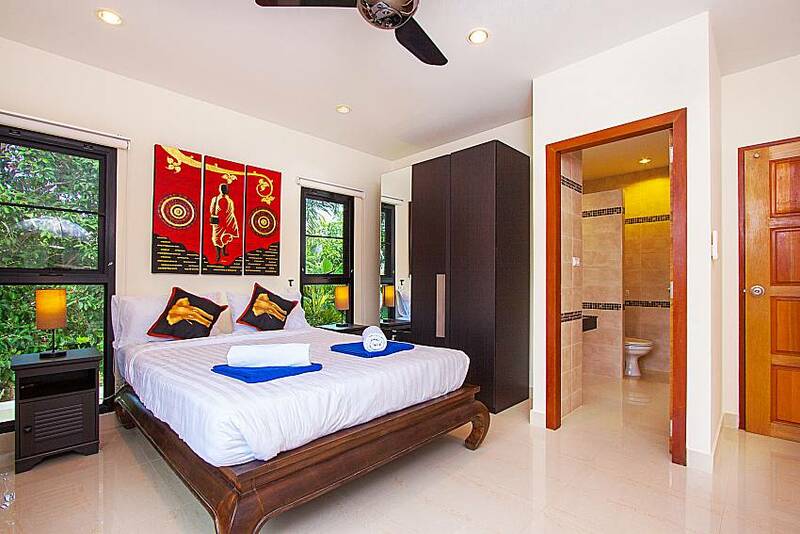 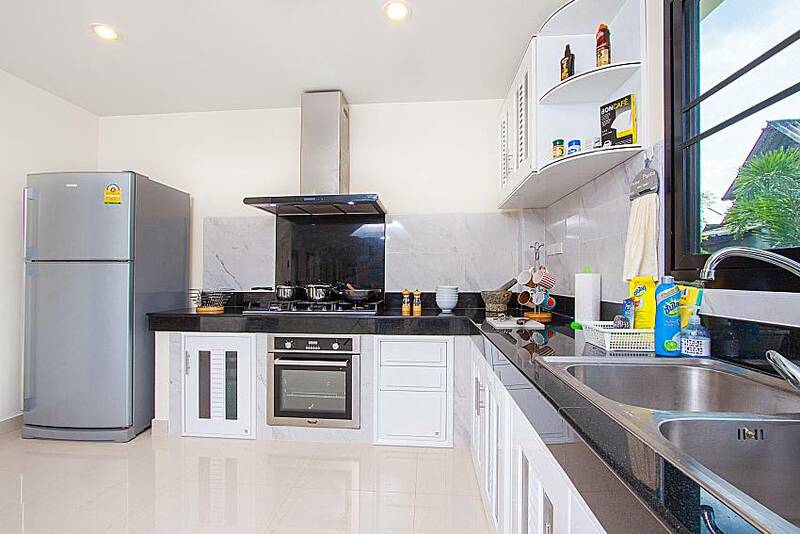 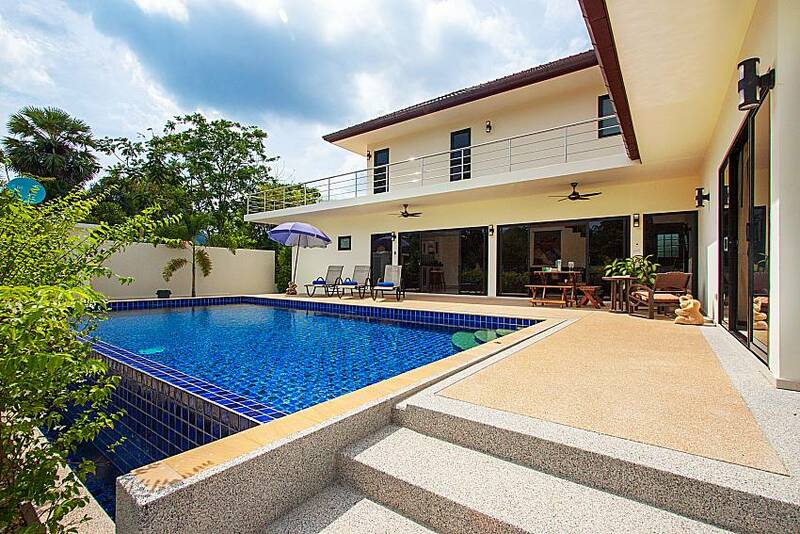 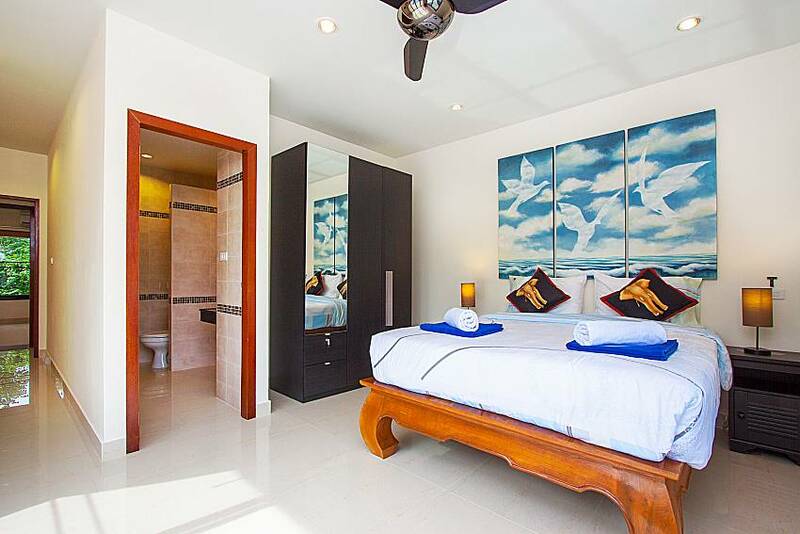 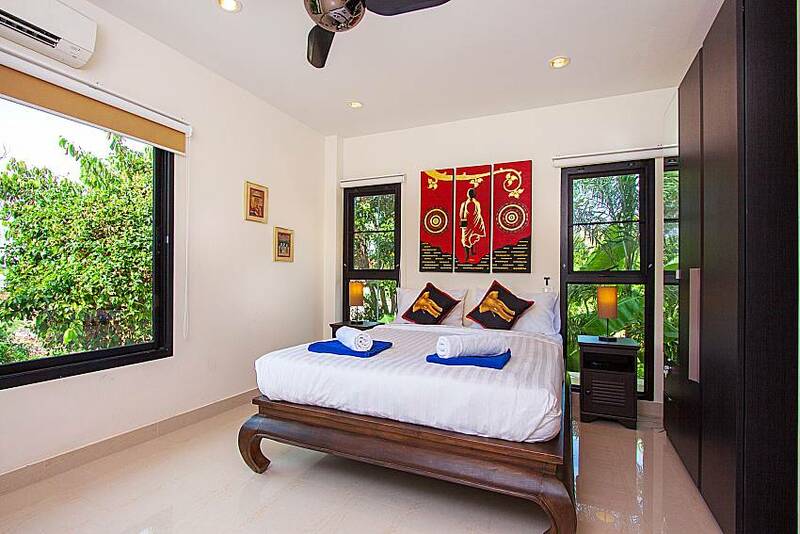 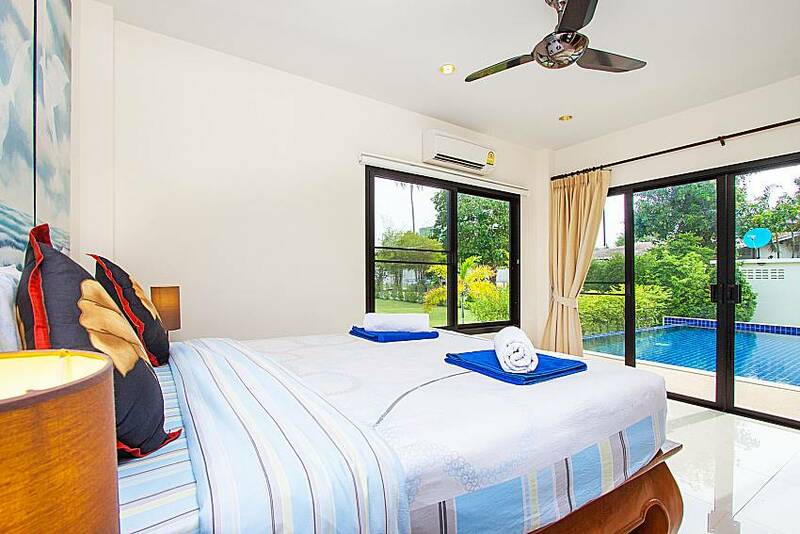 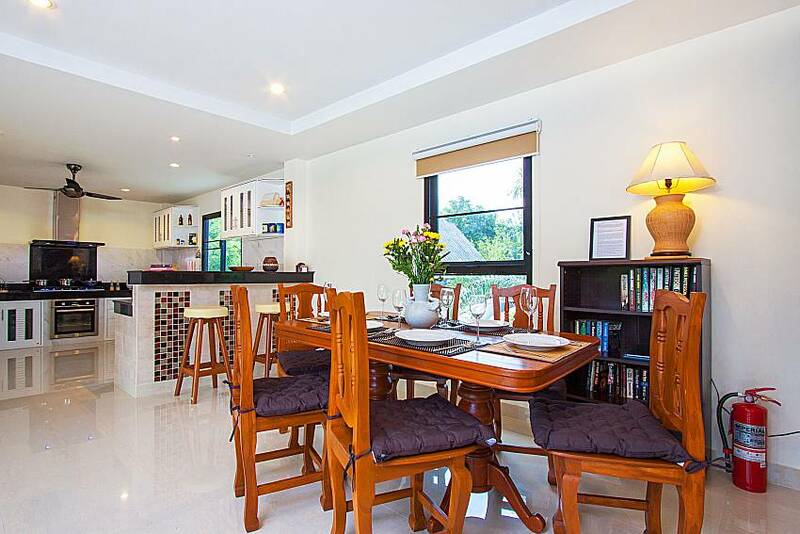 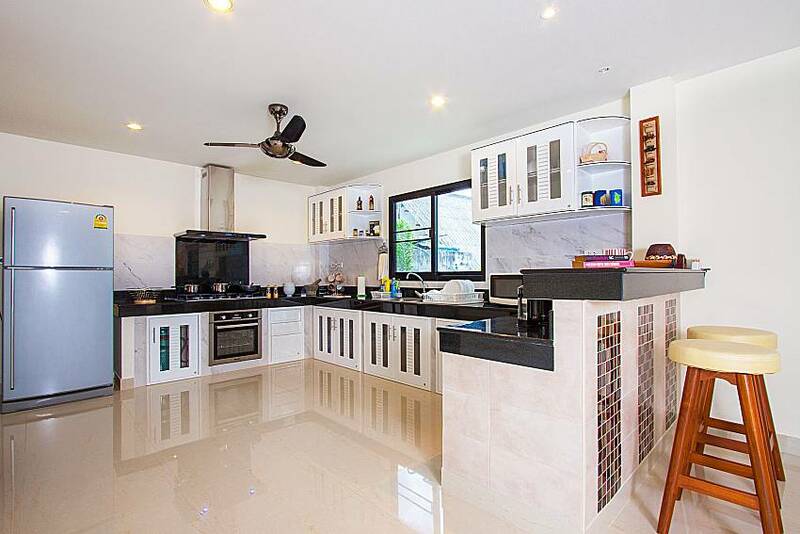 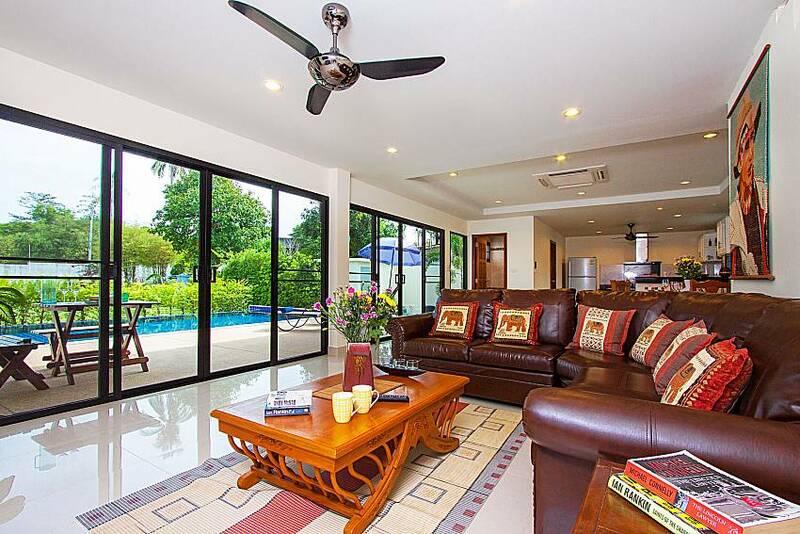 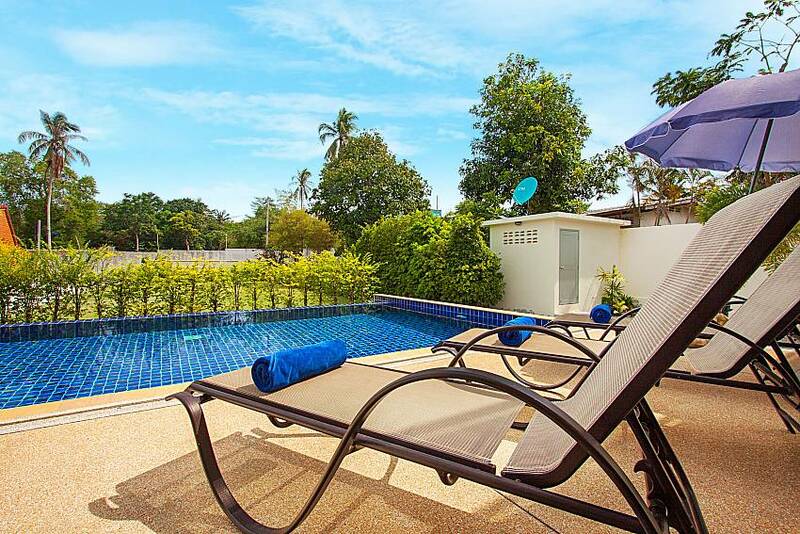 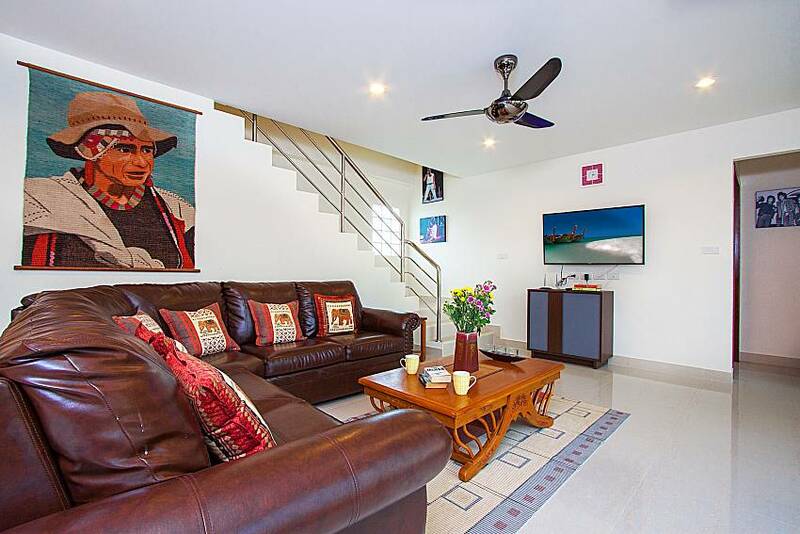 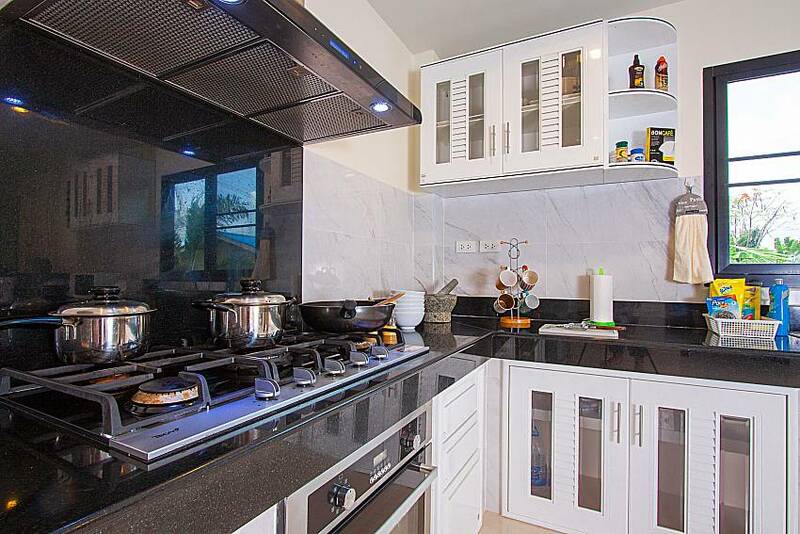 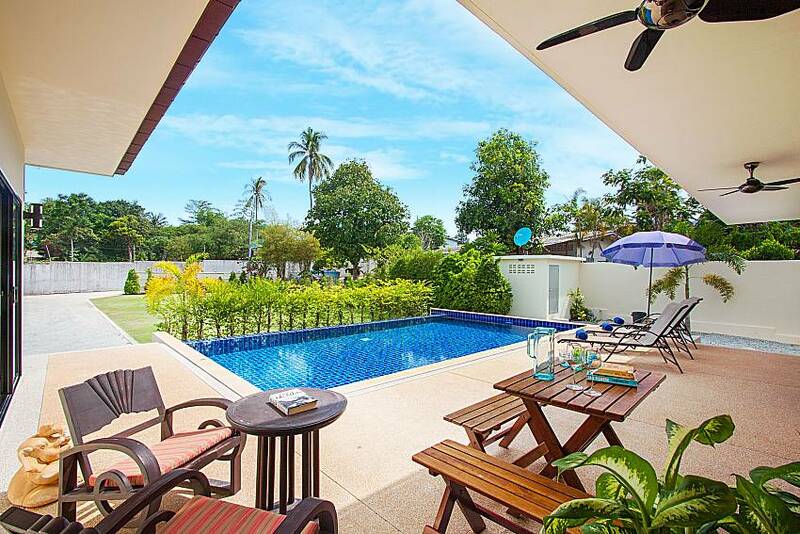 The villa is located in a lively area in southern Phuket, close to multiple beaches, small cafes, stores, markets, points of interest, and restaurants with particularly good seafood dishes. 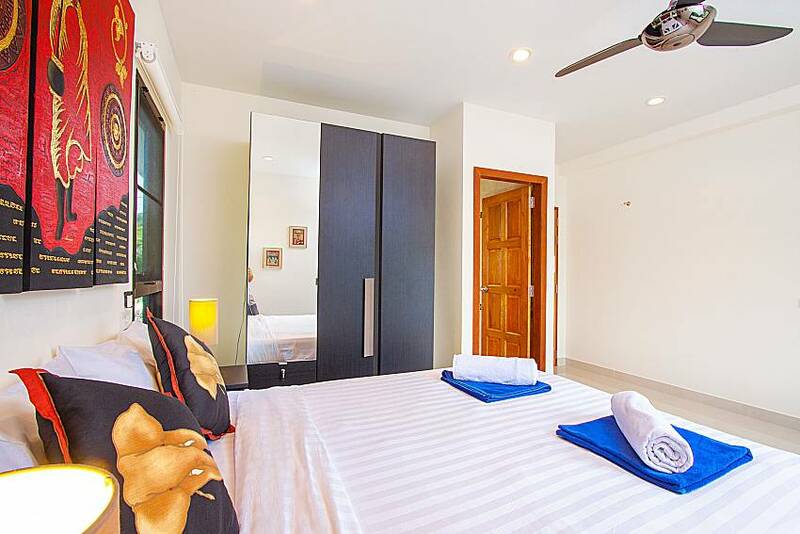 Beaches Nai Harn and Yanui are a 6-8 minutes car ride away; Nai Harn is famous for its beauty while Yanui is one of the quietest beaches in Phuket and great for snorkeling. 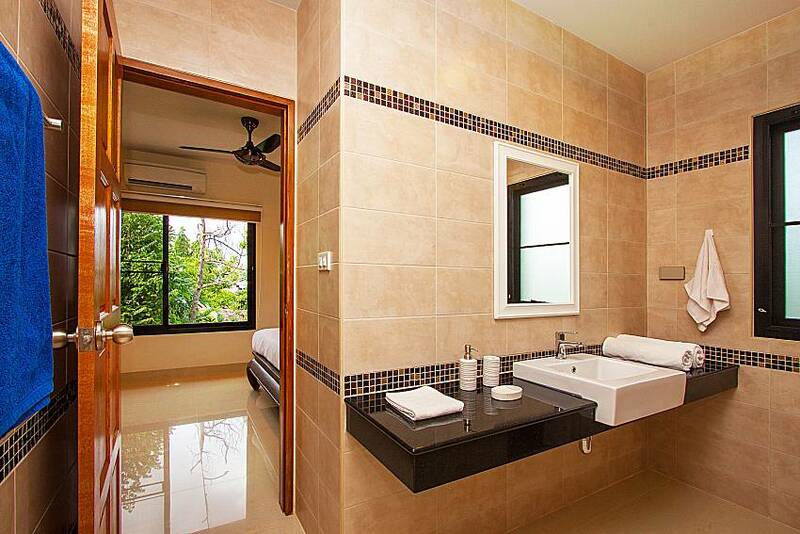 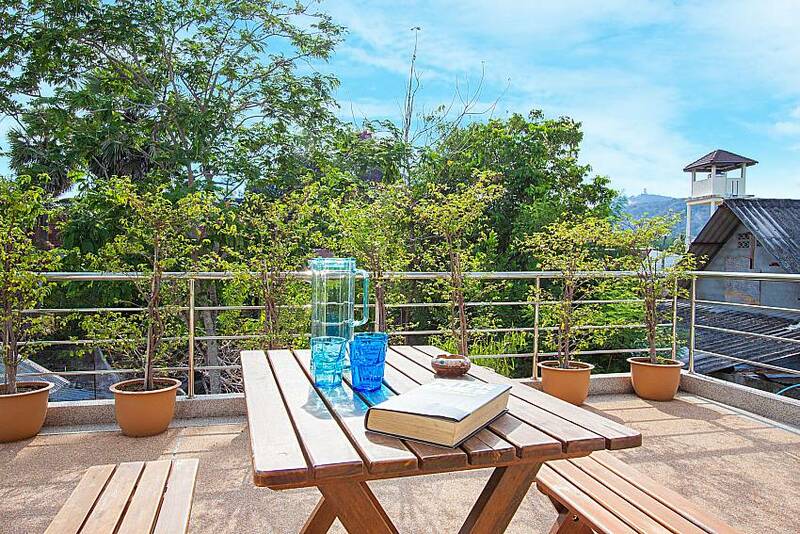 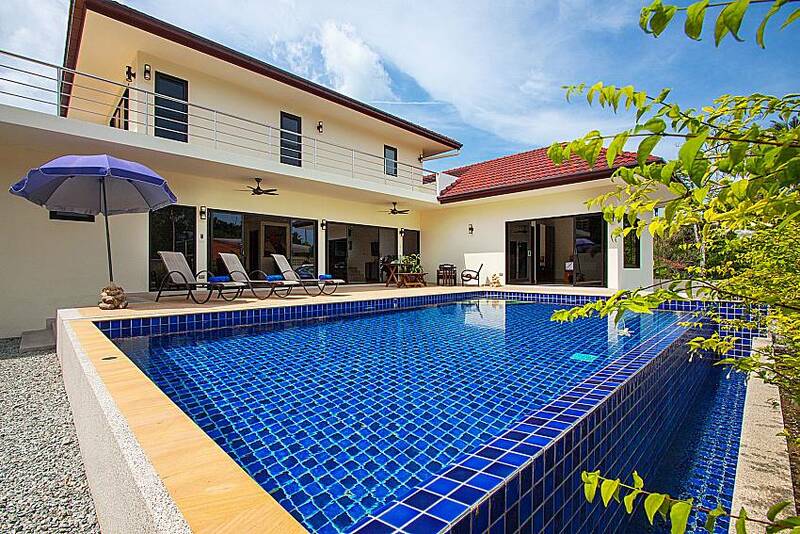 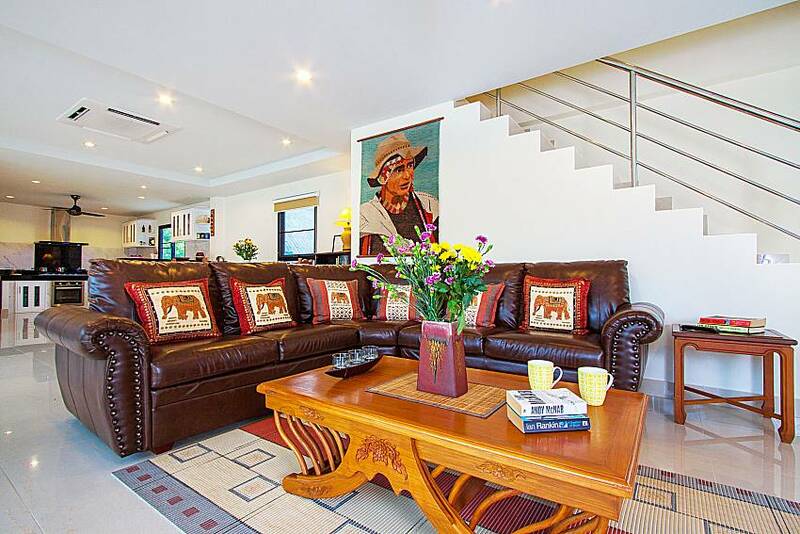 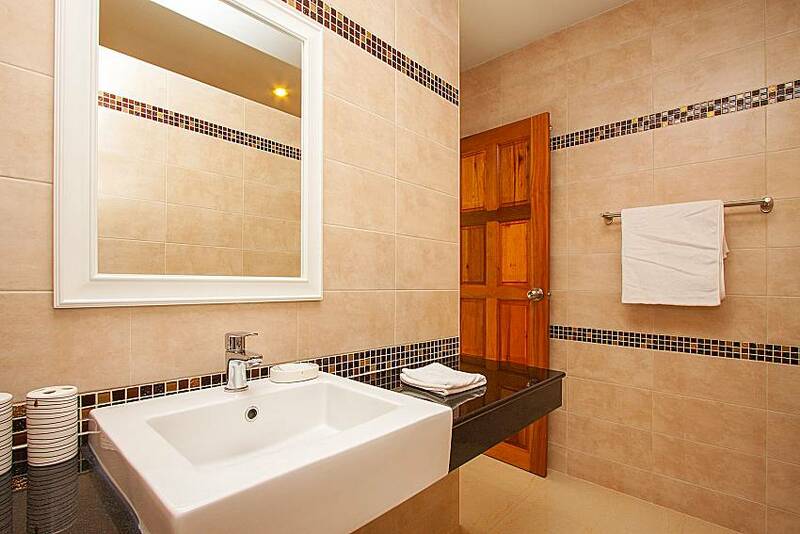 Click here to see all our exclusive vacation rentals in Phuket.